The United States bid farewell to former President George HW Bush on Wednesday in a state funeral that brought together world dignitaries, US leaders and the 41st president’s friends and family. “To his very last days, dad’s life was instructive,” George W Bush said in his eulogy to his father. Wednesday’s funeral caps off three days of remembrance of the Republican president who oversaw the post-Cold War transition and led the US during the Gulf War, only to lose re-election in a generational shift to Democrat Bill Clinton in 1992. “America has lost a patriot and humble servant in George Herbert Walker Bush. While our hearts are heavy today, they are also filled with gratitude,” former President Barack Obama said after Bush’s death on Friday. During a Capitol ceremony on Monday, Senate Majority Leader Mitch McConnell said Bush, who died at the age of 94, was a “humble servant who loved his fellow citizens”. 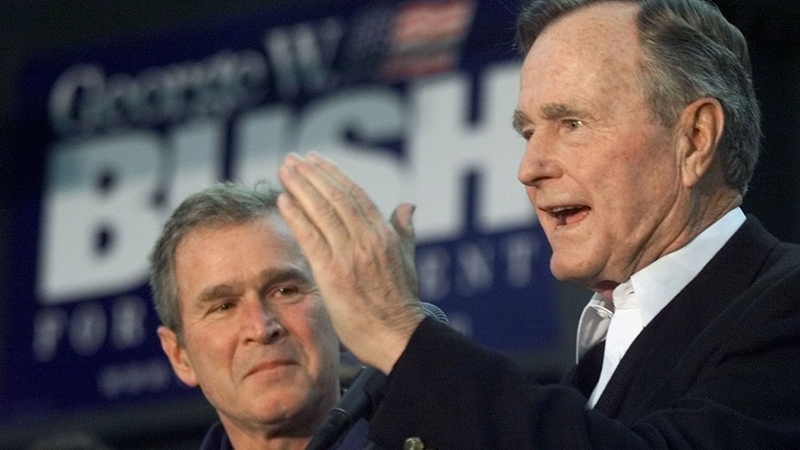 Trump, whose relationship with the Bush family has been tense, put differences aside, hailing Bush’s “sound judgement, common sense and unflappable leadership”. “He was so qualified, and I think he was just a decent man,” Sharon Terry, who stood in line for the viewing in the US Capitol, told the Associated Press. 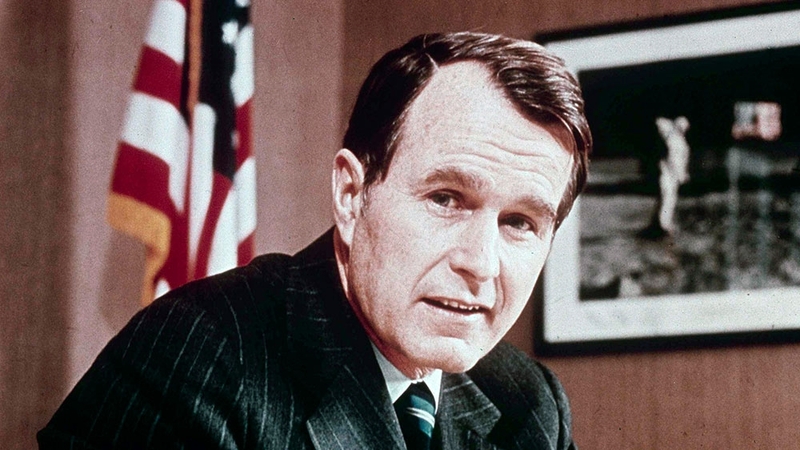 “As director of the CIA, vice president, and then president, Bush exacerbated the material conditions that allow AIDS to flourish in the first place,” Thrasher wrote. 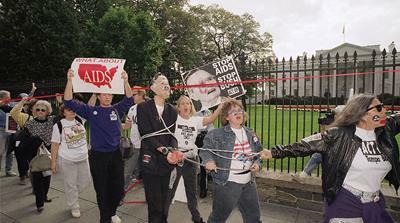 Thrasher pointed to the October 1991 march when HIV/AIDS activists and their supporters marched to the White House and threw the ashes of individuals who died from AIDS on the building’s lawn. 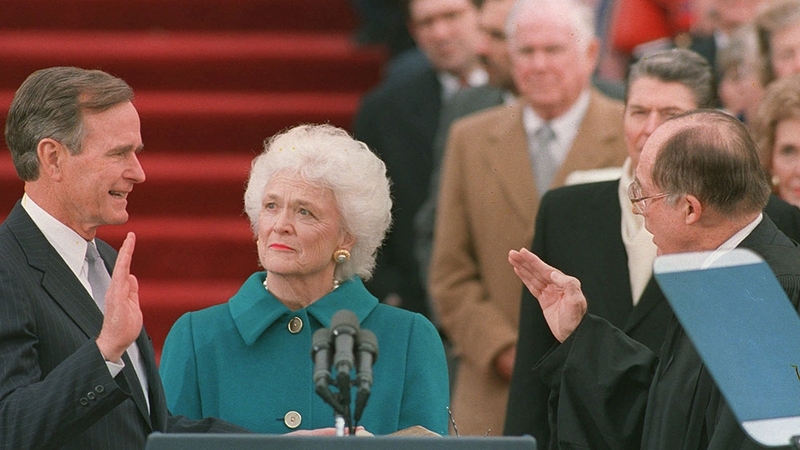 After Wednesday’s funeral, Bush’s remains will be flown to Houston, Texas to lie in repose before burial on Thursday in his family plot on the presidential library grounds at Texas A&M University in College Station. The late Bush’s final resting place will be alongside Barbara, his wife of 73 years who died in April, and Robin Bush, the daughter they lost to leukaemia in 1953 at the age of three.